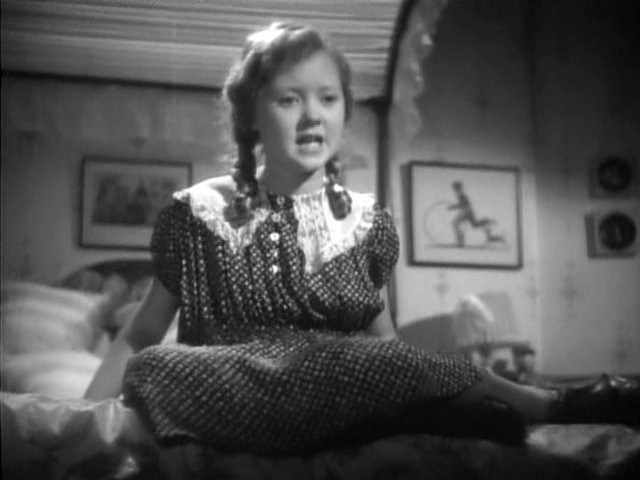 When the spoiled granddaughter (Bonita Granville) of a socialite (Alma Kruger) becomes angry at her boarding-school headmistresses (Merle Oberon and Miriam Hopkins) and seeks revenge, she spreads malicious lies about a love triangle between Oberon’s fiance (Joel McCrea) and Hopkins, and involves her innocent classmate (Marcia Mae Jones) in the deception. Meanwhile, Hopkins’ self-absorbed, histrionic aunt (Catherine Doucet) does nothing to help her niece during the time of crisis. Peary writes that this “compelling adaptation of Lillian Hellman’s play The Children’s Hour” still “seems bold” despite the fact that “Hellman did away with the play’s lesbian theme”. 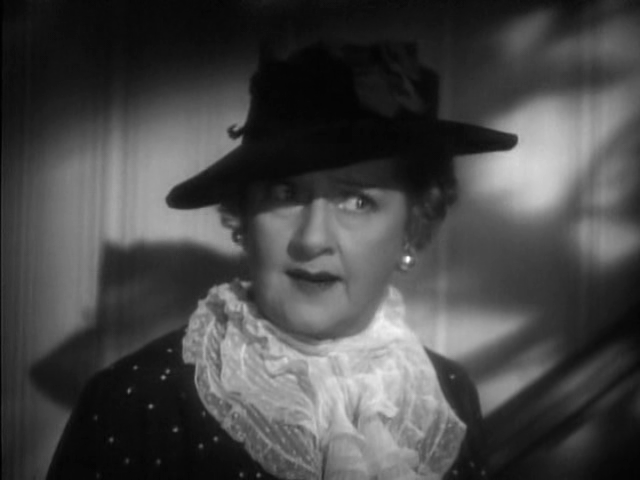 He notes that the film’s “strength lies in its exploration of several interesting females (young, middle-aged, and old) and their relationships with one another: we can compare the friendship of Oberon and Hopkins with that of Granville and her outcast pal Jones” (though I would argue their power-driven interactions hardly constitute a ‘friendship’) “and the [strained] relationship between Hopkins and… Doucet with that of Granville and Kruger”. (McCrea is the “only male with a large part”.) I agree with Peary that this probably represents one of Oberon’s “finest performances”, and the rest of the cast is top-notch as well — most notably Doucet as “Aunt Lily”, and Granville and Jones in key juvenile roles. 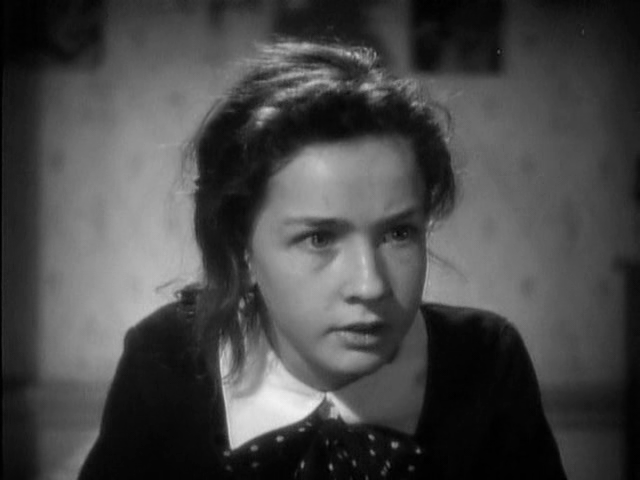 Indeed, Granville’s sociopathic Mary Tilford gives The Bad Seed‘s Rhoda Penmark a run for her money (not an easy feat), and Jones effectively radiates the soul-crushing fear felt by a young girl caught in the grips of a vicious bully. Note: Director William Wyler re-adapted the play in 1961 as The Children’s Hour, starring Shirley MacLaine and Audrey Hepburn, and utilizing “the lesbian theme” — but many feel this earlier outing is the better adaptation. Yes, as an early Wyler classic. 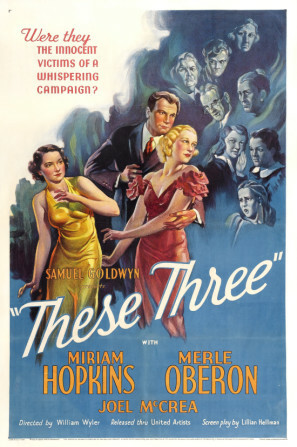 A once-must, for its unique place in censorship history (an example of the Hays Code being most effective while destroying the impact of a film). I hadn’t seen this in many years – and going back was a very frustrating experience. I am not among those who finds this “the better adaptation” of Hellman’s play, not by a long shot. While the main theme (the evil of gossip) remains intact and strong, the intricate texture of the script suffers greatly. Alleged heterosexual dallying with someone’s fiancee – though it would, no doubt, cause some concern for small-minded people nearby – is hardly equal to the powder keg of suspected lesbianism (esp. in the 1930s). So the furor that erupts comes across as a head-scratcher, to say the least. What’s also strange about this version is that it starts out with a dual tone – mixing drama and comedy, as if the story senses that it has to do everything in its power to win over its audience. For me, personally, it just doesn’t work. What *does* work is Granville’s Mary. 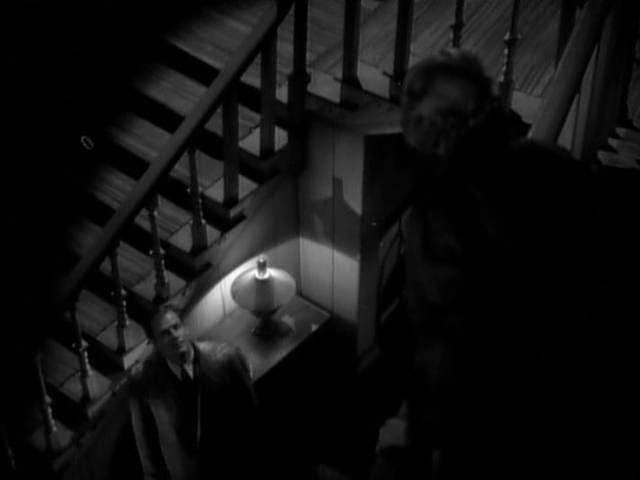 It’s a plum role – and Granville manages to run away with the film. It’s also kind of fun seeing Margaret Hamilton in a tiny role as a no-nonsense servant where Granville lives (“A good dose of rhubarb and soda will fix you up!”). Overall, the young girls at the school are nicely cast as well, and believable.